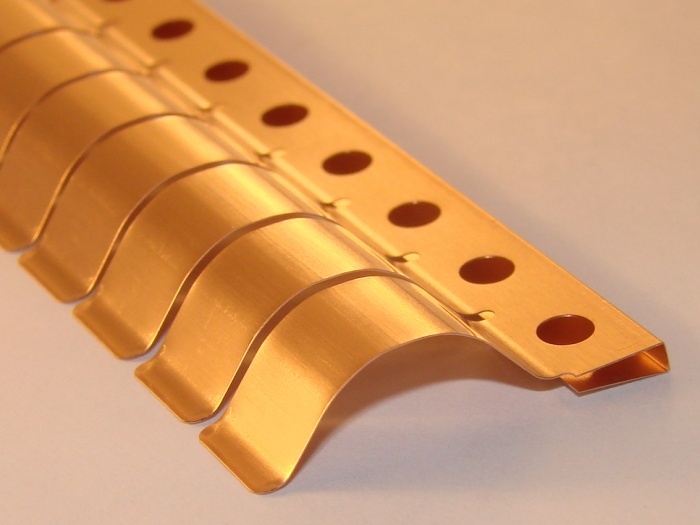 This series of large gap RF gaskets was specifically designed for shielding applications requiring a high dynamic range of deflection, very low compression force, and extended service life after repeated compressions. This series of fingerstock products is available with or without retaining lances for mounting material thicknesses of 0.035" thru 0.115". Length:16.13 IN. / 409.6 MM. Width:1.1 IN. / 27.9 MM. Offset:0.26 IN. / 6.6 MM.